Note: This course has gone by several different names over the years. 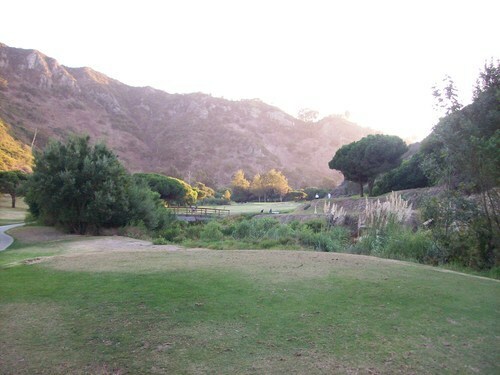 I believe it is currently Ben Brown’s Golf Course at the Ranch. 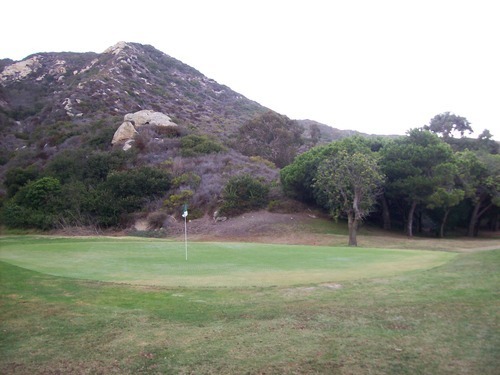 It has previously been known as The Ranch at Laguna Beach, as well. 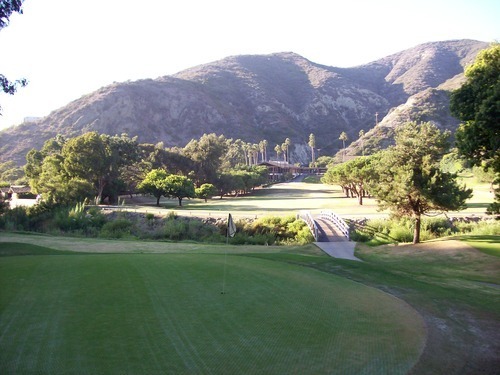 It was Aliso Creek Inn when I played it. I played here this evening with a friend and his son. We knew the course had been aerated earlier this week, but it was in even worse shape than we were hoping for. The tee boxes, fairways and greens are all punched thoroughly. The fairways are very dried out and brown and the rough is almost non-existent. The greens are heavily sanded and punched. However, they were still very soft and receptive on approaches. The course will need at least a few weeks to recover I think. We teed off about 5:00 and finished just barely before it got too dark. The pace was slow out there as it was much busier than we expected. They did charge a slightly reduced rate ($15 to walk) because of the aeration, which was nice. However, I am still not quite sure it was worth that because the conditions were pretty bad. 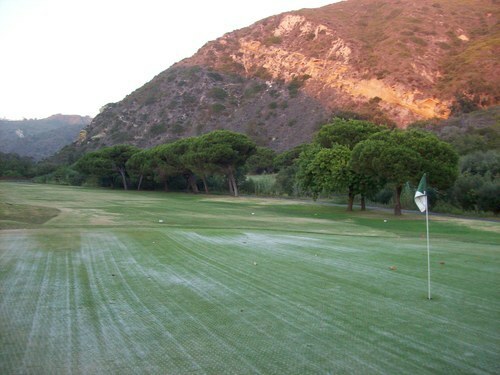 I know this can be a beautiful little 9-hole executive course. 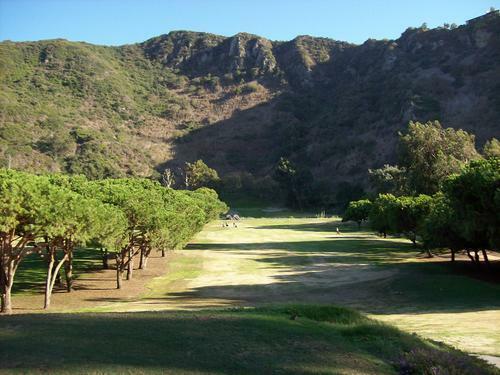 It is set back in a secluded canyon just minutes from Laguna Beach. 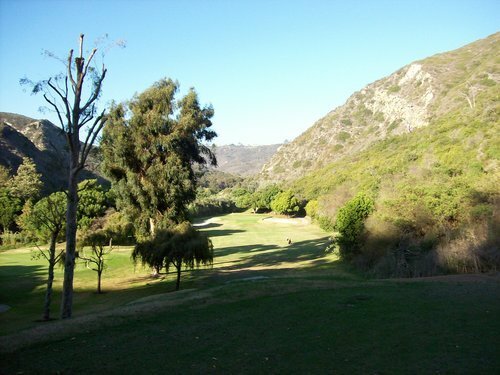 Aliso Creek runs through almost every hole and factors in on many shots on this course. 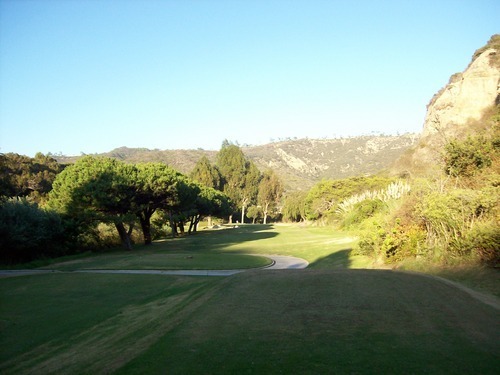 All the par-4 holes are short and relatively easy as long as you don’t try to be too aggressive off the tee. Three of the four par-3 holes actually play very long and tough from the blue tees (over 190 yards with plenty of trouble in play). 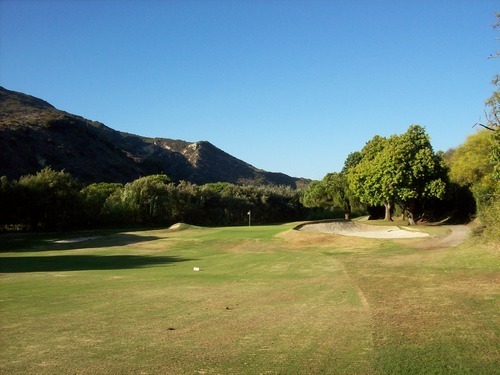 There is one par-3 (#6) that is short. It’s kind of the signature hole here with a 120-yard do-or-die shot over the creek. 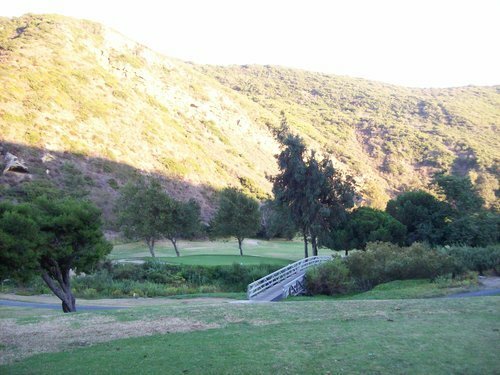 I look forward to coming out here again when the course is in better shape and the light is better for pictures, but until then it was nice to finally get a taste of what fun and beauty Aliso Creek can offer.